The major student organisations which are in the fray are Congress's NSUI, RSS's ABVP and AAP's CYSS (in alliance with AISA). Delhi University students voted today for the elections to the students' union office bearers on Wednesday and the counting will be held tomorrow. 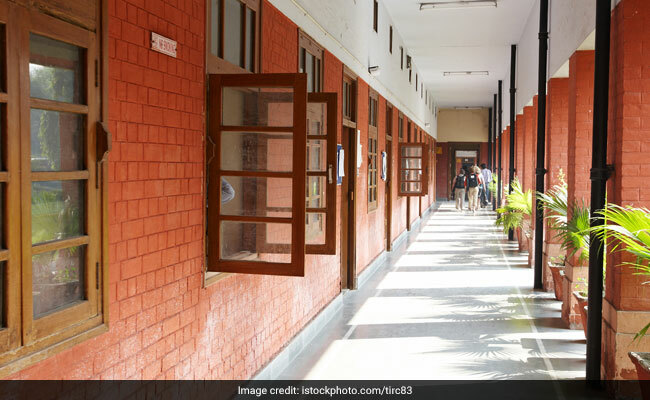 The voting is over for the elections which will decide the fate of 23 candidates who are fighting for various central panel positions in the Delhi University Students Union or DUSU. The major student organisations which are in the fray are Congress's NSUI, RSS's ABVP and AAP's CYSS (in alliance with AISA). According to an official, approximately 43.8 per cent students from more than 1.3 lakh electorate voted in the morning session while total voting per cent will be revealed soon after the election office procures the EVMs from the evening colleges. Heavy police deployment was observed in the polling area, with about 700 police personnel were present in north campus of DU. Senior faculty members were posted as observers at the centres and around 700 electronic voting machines (EVMs) have been installed, reported PTI. In the morning colleges, polling began at 8.30 am and ended at 1 pm. In the evening colleges, polling was held between 3.00 pm and 7.30 pm. Last year, the polls saw a 43-per cent voter turnout. In a another development today, the Delhi High Court asked the police, the municipal bodies and Delhi University (DU) about the steps they took to prevent defacement of public property during the DUSU election campaign and directed that action be initiated against those candidates who indulged in such activity. A bench of Chief Justice Rajendra Menon and Justice V K Rao directed the Delhi Police, DU and the municipal bodies to file reports indicating the extent of defacement, the steps that were taken to prevent it and action taken against each poll candidate who violated the anti-defacement norms. Students who voted in the polls on Wednesday told Press Trust of India that the results will help political parties gauge the mood of young voters ahead of the 2019 Lok Sabha elections. Many students, according to PTI, opined that even the parties in their manifestos had mentioned youth-centric issues that have stirred up debates at the national level. This, they said, indicate that the parties are making strategies to woo young voters.